People often ask why I believe Inquiry learning is such an important approach and to be honest, this can be a really difficult question to answer persuasively in fifty words or less. In fact, numerous educators have admitted to me that they knew about inquiry, could define inquiry but didn’t really have that lightbulb moment of understanding on the effectiveness or positives for adopting inquiry learning, until they used it in their classroom. This is completely understandable as approaches to inquiry are so vast and broad-ranging that it can be difficult to articulate the foundation behind this concept in one fell swoop. Recently, I was fortunate enough to listen to Veronica Boix Mansilla‘s keynote address on Global Competency at the Adolescent Success Asia Pacific Conference of Middle Schooling in Singapore. Whether or not this was the intention of Mansilla’s keynote, this presentation provided for me one of the most persuasive arguments for inquiry learning and reminded me of exactly why inquiry is so integral in creating learners who are active participants in the twenty-first century. It is easy to see how this notion of global competency relates to inquiry learning. The essence of inquiry learning isn’t about simply answering questions, it’s about asking questions and taking action. True inquiry doesn’t discriminate against discipline or subject area, instead it pushes students to challenge identities and perspectives through encouraging them to identify problems and issues that require investigation and act on these. It is the understanding created and shifts in perspective that result from these investigations that ensures students are truly learning. As a convert to the work of Project Zero, I look forward to examining Mansilla’s work further and strongly suggest the work of both Mansilla and fellow Project Zero researchers such as David Perkins as a great starting place for those interested in inquiry learning. I’ve recently read an article by Elizabeth Buckner and Paul Kim documenting their research on the implications of Integrating technology and pedagogy for inquiry-based learning using the Stanford Mobile Inquiry-based Learning Environment (SMILE). While this particular study examined the influence of SMILE on inquiry-based learning in developing countries, it raised several factors for consideration by any school wanting to integrate ICTs in an inquiry-based learning environment. Schools around the world are increasingly adopting technology into their classroom environments and boasting one-to-one or mobile device programs. While these initiatives are essential in twenty-first century learning environments, what we are yet to hear about is exactly how effective ICTs are in enhancing the learning in a classroom. Learning using ICTs incorporates more than putting these devices in a classroom or the hands of our students, it must involve an integration between pedagogy and technology by supporting the incorporation of meaningful educational content and contextualized pedagogy (Buckner & Kim, 2014, p.100). This may include for example, considering what effect placing a mobile device in the hands of every student in a classroom will have on their ability to collaborate and problem-solve. There is argument here that, without appropriate pedagogy, this would actually decrease the way dimensions mentioned in the Australian Curriculum General Capabilities, particularly the ICT Capability, are met by students in their learning. While effectively, mobile devices broaden the learning environments and opportunities students are exposed to, as educators, we are focusing too much on the type of technology we provide, instead of the pedagogical techniques designed to utilise this technology appropriately. It may seem obvious that educators must have a strong knowledge of the technology and devices they are using with their students. However, Buckner & Kim suggest that often, this is the biggest factor in decreasing the ability of students to learn using ICTs. Educators who feel uncomfortable with the use of ICTs or are scared of losing authority and control when students use ICTs in the classroom, greatly decrease the opportunities of students to question, problem-solve and learn (2014, p.102). This factors supports the notion that schools must begin to provide greater support for staff in their use of ICTs and place greater focus on the skills they need to use their in their teaching and learning – not the programs. As educators, we are well aware of the potential of ICTs and mobile devices to increase engagement in the learning of our students, however, we must pay attention to the effect our pedagogical practices has on this. Simply providing a student with a Mobile Device to type their work instead of write does not automatically increase engagement in learning. Instead, we must consider how we can change our teaching and learning in relation to ICTs and Mobile Devices to promote, “a pedagogical shift from didactic teacher-centred to participatory student-centred learning” (Looi, Seow, Zhang, So, Chen, & Wong, 2010, p. 156). In their article, Buckner and Kim examine the use of the SMILE model to promote the questioning involved in an inquiry-based learning environment through several different case studies across many countries. The video below provides an accompanying overview of the SMILE method used in the research of Buckner & Kim. Whether or not the SMILE method is adopted in your school, Buckner & Kim lead us to acknowledge the importance as educators, particularly those who adopt inquiry-based learning practices, to consider exactly how we are using and integrating pedagogy AND ICTs to improve teaching and learning in our classrooms. Looi, C. K., Seow, P., Zhang, B. H., So, H. J., Chen, W., & Wong, L. H. (2010). Leveraging mobile technology for sustainable seamless learning: A research agenda. British Journal of Educational Technology, 41(2), 154–169. 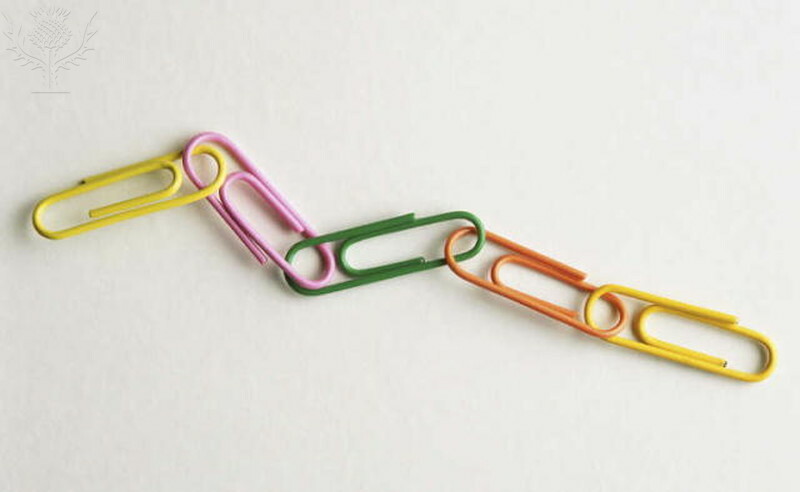 Five differently-coloured paperclips joined together into a chain. [Photograph]. Retrieved from Encyclopædia Britannica ImageQuest. Traditional educators have long focused on imparting a body of canonical knowledge to students through school curricula in a singular disciplinary approach. What I question about this approach is the ability of this school curricula to provide real-world, contextual learning environments and opportunities for students of the twenty-first century. The question here is, as the environment around us rapidly transforms, shouldn’t the education we provide our students reflect this? We are at risk of experiencing disengagement by our students if we continue to push learning opportunities in school that focus too much on equipping students only with knowledge, instead of focussing on students developing skills that allow them to form new knowledge and understandings throughout the continuum of their learning journey. With the development and instillation of the Australian Curriculum, educators must now consider how they balance such a content-heavy program while providing their students with engaging learning opportunities. “[integration] involves putting knowledge to use in relation to real life problems and issues.. Rather than being lists of concepts, facts and skills that students master for standardized achievement tests (and then go on to forget, by and large), knowledge is that which is intimately connected to the communities and biographies of real people. Students learn that knowledge makes a difference in people’s lives, including their own” (1999, p.199). Whilst it cannot be suggested that traditional approaches to learning should be forgotten, there is a reasonable argument to suggest that integration could be the solution to improving student engagement in the twenty-first century. Integration is often given looked down upon by educators as they believe it minimises the content and knowledge acquired by the learner. It is common to hear educators state that they won’t teach an integrated curriculum because it will subtract from the academic value of their specialised subject area. However, in this case, the impact of pedagogy on the curriculum and learning experienced by students in a classroom is overlooked. As the beliefs, knowledge and understandings of a teacher in relation to their pedagogical practices directly influence the success of learning in the classroom, these factors must be considered to assess whether they are indirectly minimising the increased engagement that multi-disciplinary integration could observe in students. It is essential then, to consider whether integration could perhaps, boost the engagement of our students, while providing a solution to covering such a content-heavy Australian Curriculum in the classroom. 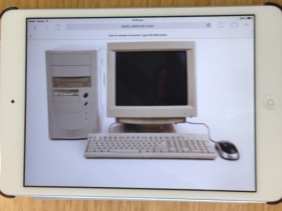 Apple, M.W. & Beane, J.A. (1999). Lessons from democratic schools. In M. W. Apple & J. A. Beane (Eds. ), Democratic schools: lessons from the chalk face (pp. 118-123). Buckingham, UK: Open University Press.